The Vail Valley Charitable Fund coordinated a long list of local groups rallied to make sure Joshua Casillas has a safe ride to the doctor. Joshua suffers from severe cerebral palsy. He's also 14 years old and weighs 140 pounds, too big for his mother Monica to lift him in and out of the family car. They couldn't get him back and forth to doctors' appointments in Denver. 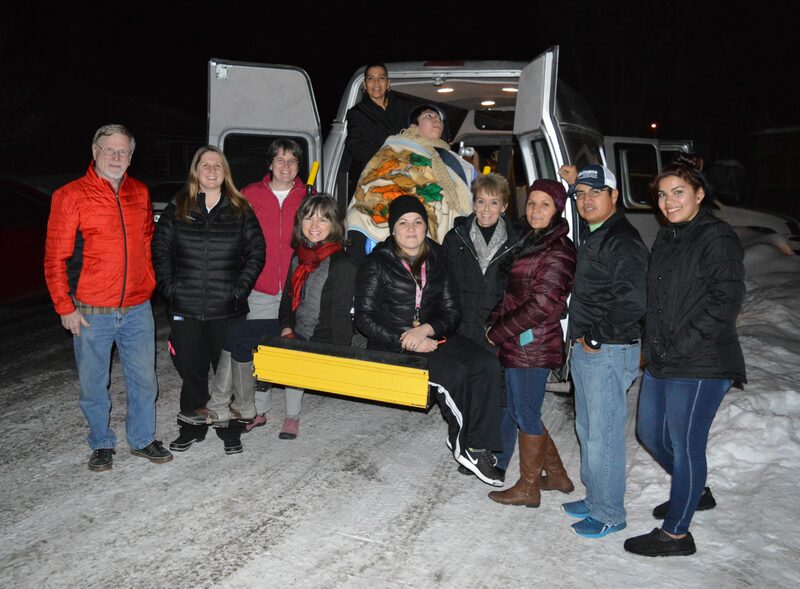 The Casillas family needed a wheelchair conversion van, and this week they received one. "We are very happy and grateful," Monica said. The effort started with Wheels for Joshua, a charitable fund fundraiser in November of last year. The event raised $20,000 of the $25,000 the family needed, and the charitable fund started through its network to raise the rest. The Swift Eagle Foundation, the Gallegos Corporation and the Eagle County Ambulance District picked up the rest of the tab. "With all the people who supported us in all the aspects that made possible the accomplishment of our goal, Wheels for Joshua taught me that there are still many generous people who have a heart of gold," Monica said. "We are very fortunate to have found them." Joshua attends Gypsum Creek Middle School. When he was eight months old, he contracted meningitis, which resulted in many hospital stays. Since then he has been diagnosed with severe cerebral palsy, intractable seizure disorder and other mental and motor delays. The Casillas family asked the Vail Valley Charitable Fund for help. "Usually the maximum grant is $5,000, and that won't go very far when you're buying a van like the one they needed," said Michelle Maloney, VVCF Executive Director. After an exhaustive search, the Vail Valley Charitable Fund found a wheelchair conversion van at Summit Auto and Cycle in Zumbrota, Minnesota. The van is a 2010 Ford E150 with 75,000 miles on it. Summit Ford was asking $21,888, but sold it to the Vail Valley Charitable Fund for $21,500, and even drove it down from Minnesota for no extra charge. The young man who drove it left Zumbrota at 5:30 a.m., and pulled into the Casillas' driveway 14 hours later. "They were amazing, so gracious," Maloney said. Monica took it for a test drive, and it passed muster. She has relatives in the auto repair industry and they gave it their blessing. "This was a collaboration at its best in our community — all sorts of people came to the event, and people who supported it and made it a reality," Maloney said. "And a big extra thanks to Swift Eagle Charitable Foundation, Eagle County Paramedic Services and the Gallegos Corporation." Posted in Uncategorized on May 17, 2017 by VVCF1996.